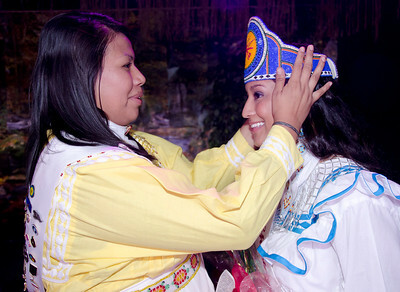 Miss Choctaw Nation 2011-12 Amber Tehauno passes the crown to incoming Miss Choctaw Nation Cheyenne Murray. 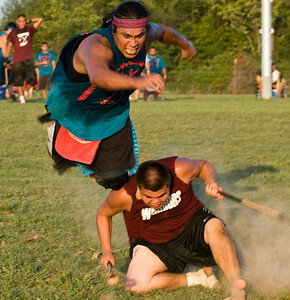 Tvshka Homma's Bobby Baker Jr. flies over a member of the Mississippi Warriors team in pursuit of the ball. 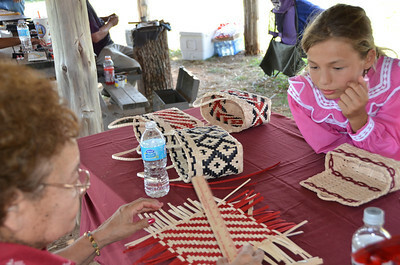 Alexis Willis watches Rose Billy. 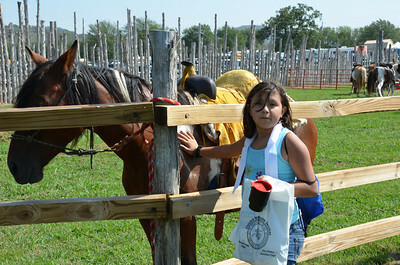 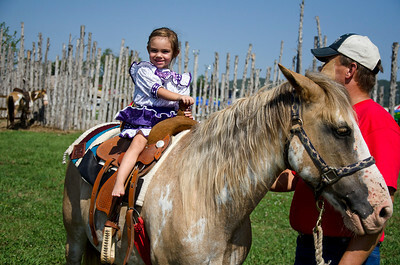 Amy Pauley of Tulsa enjoys petting one of the Choctaw horses. 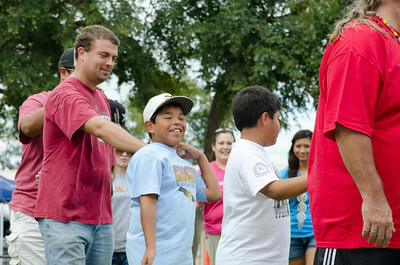 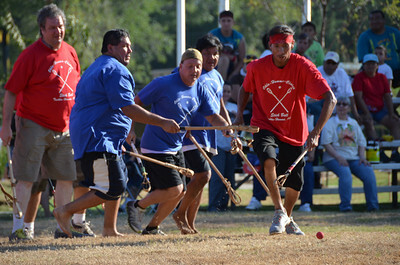 Ball in play during a stickball exhibition game on the Capitol lawn. 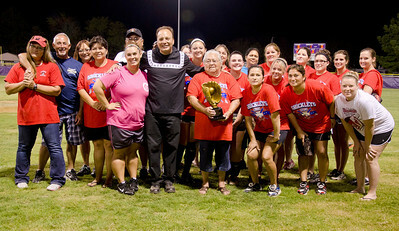 Assistant Chief Gary Batton and Larry Wade present a trophy to Betty Dixon in honor of her 28 straight years of playing in the softball tournament at the Labor Day festival. 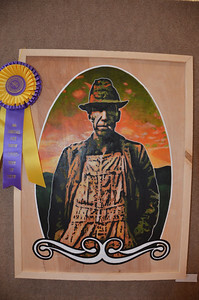 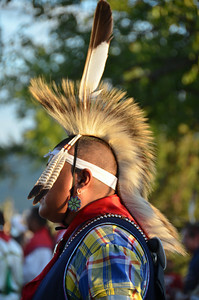 Best of Show at the annual Choctaw Nation Art Show was won by this artwork by J. Dylan Cavin. 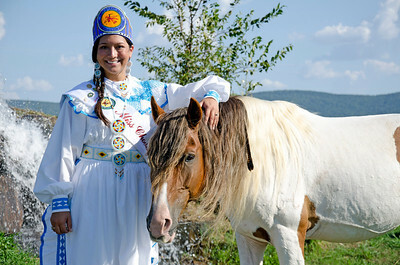 Miss Choctaw Nation Cheyenne Murray with Going Streak, a Choctaw Spanish Mustang stallion from The Spirit of Blackjack Mountain. 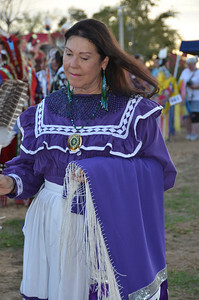 Carole Ayers joins the grand entry. 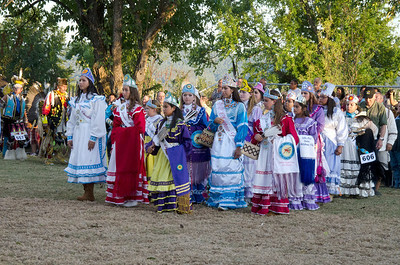 Cheyenne Shomo is crowned Jr. Miss Choctaw Nation by Assistant Chief Gary Batton and Chief Gregory E. Pyle. 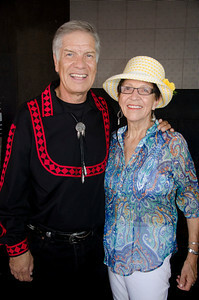 Chief Gregory E. Pyle visits with Ruth Frazier McMillan after the Monday ceremonies. 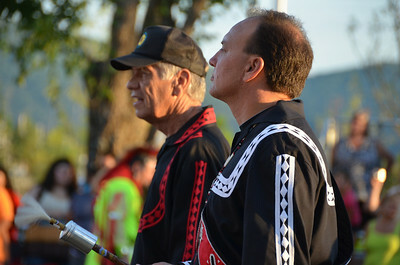 Chief Gregory E. Pyle and Assistant Chief Gary Batton. 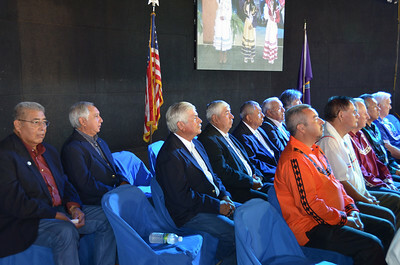 Tribal Council watches the princesses perform the Lord's Prayer in sign language. 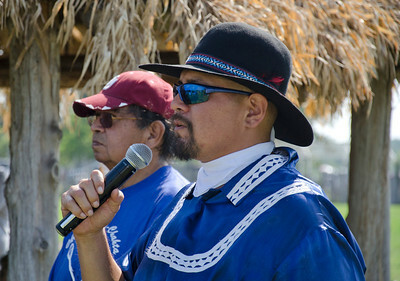 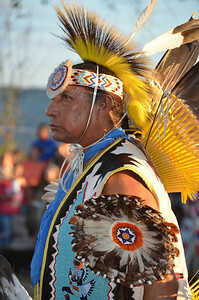 Bryan Billy chants for the dancers in the village while his father, Curtis Billy, stands at his side. 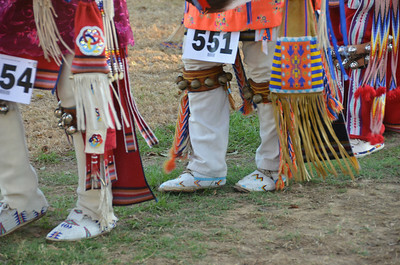 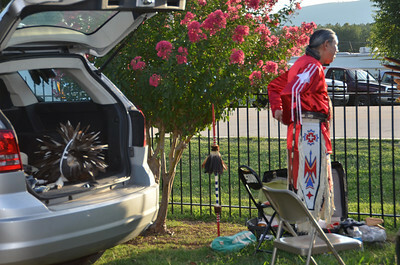 A dance class was held Friday morning for anyone wanting to learn Choctaw social dances. 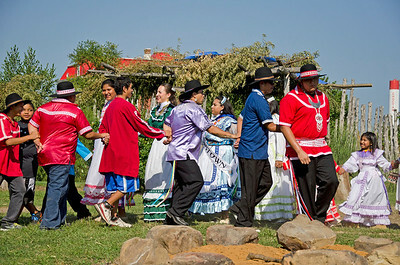 Youth dance in the village Saturday morning. 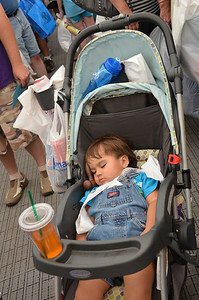 Elias Ramirez of Wister takes a nap. 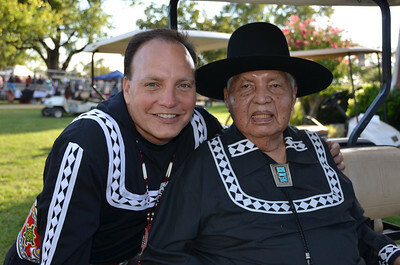 Assistant Chief Gary Batton and Tribal Chaplain Bertram Bobb. 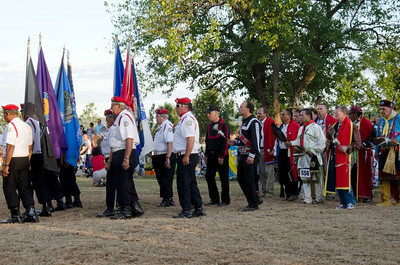 Chief Gregory E. Pyle and Assistant Chief Gary Batton follow the Color Guard as grand entry begins. 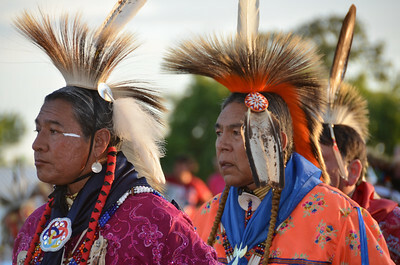 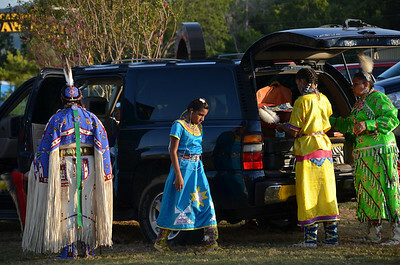 Beautiful Choctaw ladies participate in pow wow grand entry. 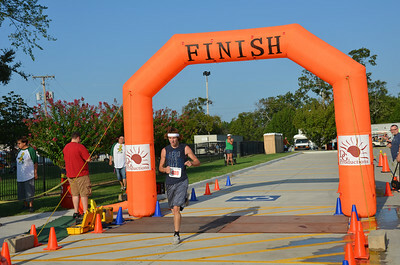 Overall 5k winner crosses the finish line. 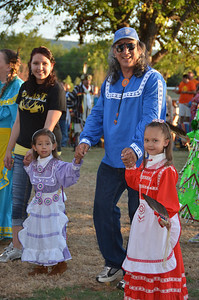 Councilman Tony Messenger escorts some beautiful little Choctaw ladies.